It’s official, the SAF Levy will start on 12 August 2018! 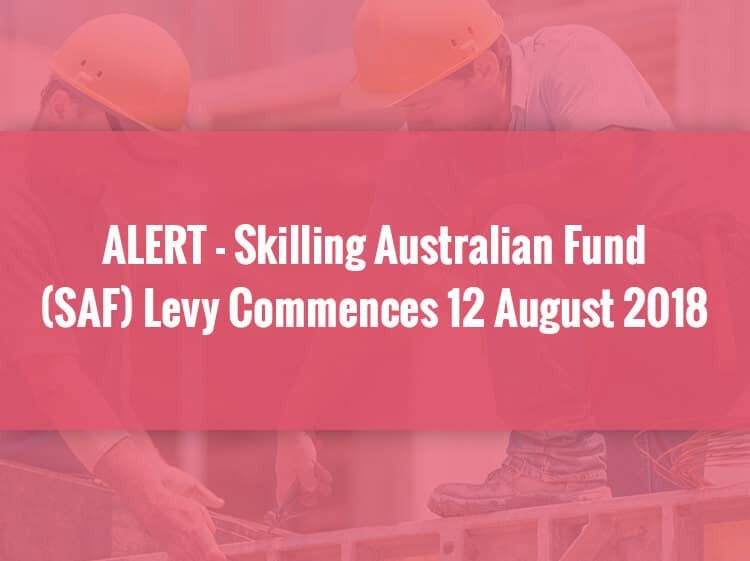 The SAF Levy replaces the previous training requirement which entailed a training benchmark determined by the employer’s total annual payroll. How much will this SAF Levy cost? The SAF levy figure will depend on the size of the sponsoring business. All SAF Levy payments are tax deductible. When does the SAF Levy need to be paid? The SAF levy is a yearly levy though payable in full when lodging a nomination application. The amount will therefore depend on the proposed period of stay of the overseas worker in Australia. For example, if a worker is nominated to work for four years with an employer turning over less than $10mil per annum, then the total amount of SAF Levy payable is $1200 x 4 = $4800 payable at the time of lodging the nomination application. Can the SAF Levy be refunded? The sponsorship and visa applications are approved, but the overseas skilled worker (visa holder) does not arrive/commence employment with the employer. A TSS visa holder leaves the sponsoring employer within the first 12 months of employment where the visa period was for more than 12 months. Refunds will only be available in this scenario for unused full years of the SAF levy. Note: This does not apply to ENS or RSMS holders who leave their employer within the first 12 months of employment.